A young Kung Fu student (Shih Szu) seeks a reclusive teacher so that she may learn to defeat the evil Black Demon. She doesn't realize that the servant woman she befriends (Cheng Pei-Pei) is actually the kung fu master she seeks. After Black Demons henchmen attack, the master reveals herself and eventually takes on the student to train her so that they may both defeat the villian. A love triangle complicates things when another student (Lo Lieh) asks for training as well. 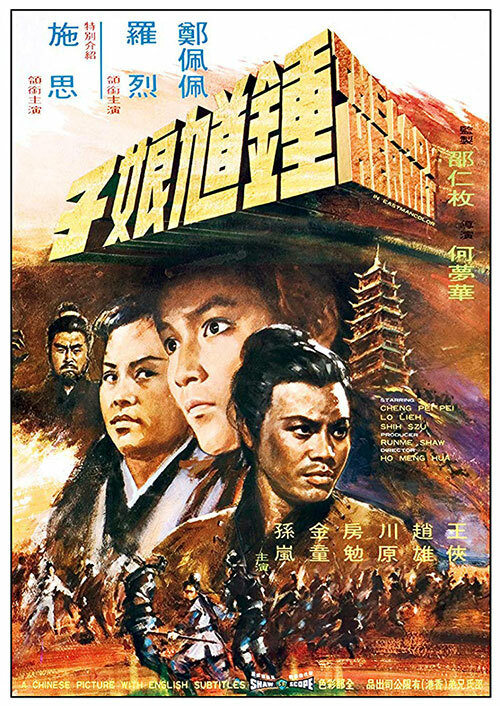 5 Response to "The Lady Hermit (1971) Meng Hua Ho"
Any possibility of HK film "Spooky Bunch"? Thanks. Appreciate the update about Spooky Bunch!